A Scottish Government Minister has visited the site of a proposed digital skills academy in Helensburgh just weeks before a major funding decision is due on the £2.5 million project. 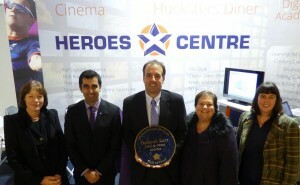 The Scottish Minister for External Affairs and International Development Humza Yousaf said he was impressed by the project to build the ‘Heroes Centre’ and would do what he could to support the project to turn a deserted three storey warehouse in the birthplace of John Logie Baird into a skills and arts facility for the local community fit for the digital age. Helensburgh Heroes, the charity behind the project, will discover in mid-December whether it has won a substantial grant to finally get the project off the drawing board. Mr Yousaf’s site visit followed one made by Fiona Hyslop, the Cabinet Secretary for Culture and External Affairs, last year. He was accompanied by local MSP Jackie Baillie who is a supporter of the project. Mr Yousaf spent an hour at the site in George Street, watching a video presentation of how the Heroes Centre would look if built and listening to key project members, including education partner Glasgow Caledonian University and Organic Architects, who explained their involvement. Phil Worms, founder of the Helensburgh Heroes charity, said: “I was pleased that the Minister had such a great understanding of what we’re trying to do and of the importance of digital technology both here and throughout Scotland and he left, I believe, with a very positive impression. When built the Heroes Centre will boast a state-of-the-art digital training academy, two cinema screens, and a 50s diner plus a wall of fame honouring local people who have contributed to society. Supporters of the project include Hollywood film director Tom Vaughan, who grew up in the town, and influential computer gaming content creator Fergus McNeill. 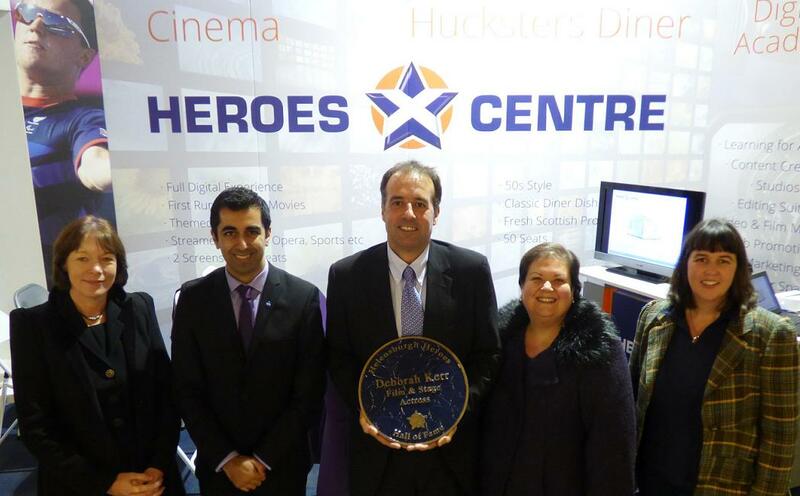 Image from left to right: Dr Morag Ferguson (Glasgow Caledonian University), Humza Yousaf MSP (Scottish Minister for External Affairs and International Development), Phil Worms (Helensburgh Heroes), Jackie Baillie MSP (Dumbarton) and Andrea Wise (Organic Architects).